Why is Vitamin B12 – LIPO MIC B-12 INJECTION so important? If you’ve tried energy drinks, coffee and many other options out there, you may be missing what your body is craving. While many of our patients already know the benefits of Vitamin B12 injections, we know there are many more that want more information regarding the tremendous effect it has on our patients daily lives. Lipotropic-B vitamin injections have been used in a non-invasive manner to help patients to achieve increased energy and generalized weight loss. These so-called “fat burner” injections can be done as frequently as once a week. The basis of these injections is that Vitamin B12, an essential vitamin, is used by our body to create and boost the energy needed for exercise resulting in more calorie burn. The Lipotropics are a combination of the amino acids, Choline, Inositol and Methionine, which are among the most effective, are used in removing fat via the liver metabolism processes. Lipotropics help to maintain a healthy liver. Vitamin B12: Important for the normal functioning of the nervous system and for proper brain and spinal cord function and boosts your energy level by impacting cellular metabolism of most cells in the body, especially effecting DNA synthesis and regulation, but also fatty acid synthesis and energy production. 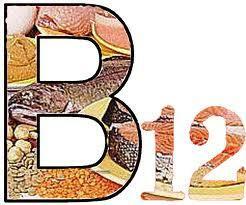 Many medical conditions, illness, substance dependencies as well as normal aging can lead to a B12 deficiency. Vitamin B12 also regulates the formation of red blood cells and helps in the utilization of iron, preventing anemia. It is required for proper digestion, absorption and synthesis of foods, protein synthesis, and the metabolism of carbohydrates and fats. Vitamin B12 is also necessary for a healthy nervous system, for proper brain and spinal cord function and boosts your energy level by impacting cellular metabolism. Chromium- An essential mineral that plays a major role in how insulin helps the body regulate blood sugar levels. Insulin is a vital hormone that your body uses to change sugar, starches, and other food into energy needed for daily life. L- carnitine– is a naturally occurring amino acid which plays a vital role in the metabolism of fat. It functions as a transporter of fatty acids into the mitochondria. Choline: A fat emulsifier which aides in emulsifying cholesterol so that it does not settle on arterial walls. It works well with Inositol to utilize fats and cholesterol. The body can produce Choline, with the help of vitamin B12, folic acid and Methionine. Natural Choline production may not always be adequate to meet daily needs. Studies show that diets deficient in Choline lead to undesirable changes to liver, kidney and brain function. This means that fat deposits in your body will decrease and their metabolism will be sped up. Inositol: (myo-inositol) is a carbohydrate which regulates serotonin and insulin in our body and helps in transferring metabolized fats into the bloodstream and is vital for metabolism of fat and cholesterol. Thus, Inositol is an aid in the redistribution of body fats and may help to lower cholesterol levels. A lack of Inositol has been shown to produce an accumulation of triglycerides in the liver. ** Myo-inositol may aid in the treatment of panic disorder, according to a small study published in the Journal of Clinical Psychopharmacology in 2001. This means that your mood will become more stable and feelings of hunger will be less noticeable. Methionine: An antioxidant amino acid that neutralizes free radicals. It aids in breaking down fat, removing heavy metals from the body, and helps with digestion. It is one of the important amino acids that increase energy and lean muscle mass. It is helpful in relieving or preventing fatigue and may be useful in some cases of allergy because it reduces histamine release. Any deficiency will adversely affect fat metabolism and may lead to fatty degeneration and cirrhosis of the liver. **Note: If you are allergic to Sulfur request the Lipotropic injection without Methionine. *** Please note that that these injections are not a complete substitute for proper diet and exercise. They are made to assist you and enhance your weight loss results. For maximum results, they must be used in conjunction with proper observation of diet and exercise. 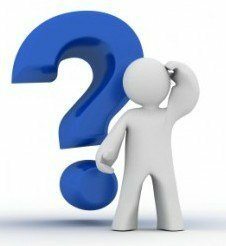 QUESTIONS ABOUT Vitamin B12 –LIPO MIC B-12 INJECTION? 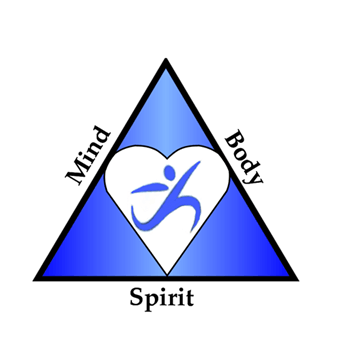 Vitamin B12 –LIPO MIC B-12 INJECTION? but we are here to meet ALL your Primary care needs.